ABUJA – The United Nations Population Fund, UNFPA, on Friday donated bags containing ‘dignity kits’ for each of the 106 Chibok girls who have been released from Boko Haram captivity. The donation was made through funding support by the Canadian government, and the items were handed over to the Minister of Women Affairs, Aisha Al-Hassan in Abuja. 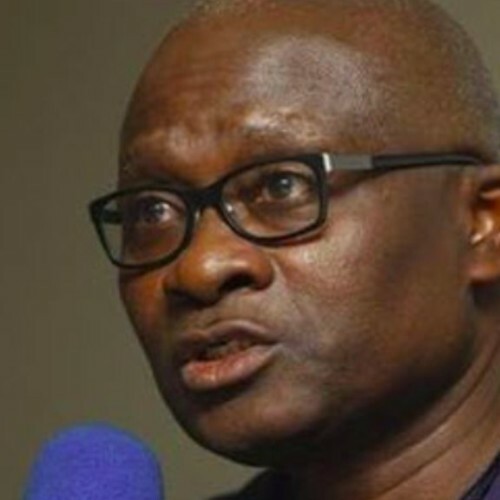 Deputy Country Representative, UNFPA, Eugene Kongnyuy, who opened some of the bags, said they contained culturally-appropriate dresses, head ties, under-wears, washing soaps, toothpastes, towels, blankets, laundry soaps, body powder, flash light/torch, combs, among others. 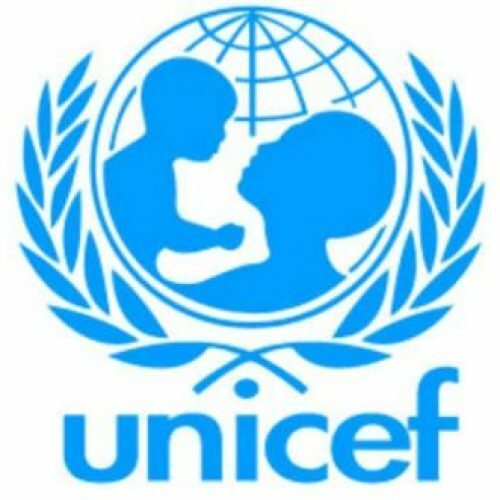 The UN Chief said since the release of the first 21 girls last year, UNFPA had joined Nigerian government to rehabilitate the girls so that they are fully integrated into their community. “From 21 to now 106, your tremendous efforts and passion to get these girls back to their community is very much congratulated,” he said while appreciating the efforts of Al-Hassan and the Federal Government. He went on: “UNFPA has been on this journey with you, together with our partners and donor, the government of Canada. I will also commend the efforts of the entire United Nations system, not forgetting particularly, the UN Women and UNICEF which have been on this journey with us. He also thanked the Canadian government for its support to UNFPA, stressing that funding from the country had impacted the lives of women and girls in crisis, the Chibok girls and thousands of girls in Nigeria’s northeast. 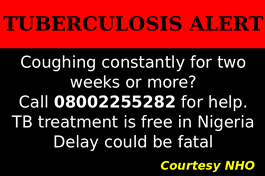 He added that UNFPA had been offering psychosocial support and providing medical support such as reproductive health care services, shelter, welfare and skills acquisition development. He assured of UNFPA’s support to Nigeria, by ensuring that all pregnancies are wanted and that women do not die while giving birth, and that young people’s potentials are optimized. In her remarks, Sen. Al-Hassan said before the return of the Chibok girls, who are now receiving education in Abuja, UNFPA had been supporting people in crisis in the country, especially in the northeast. She said there was strong possibility that the remaining girls would return. “Negotiations are still on to bring the girls back home, to reunite them with their families, to reintegrate them to the society. We are hopeful, just like the two fruits of the negotiations, bringing back 21 girls first, and later 82 girls, we hope, from the negotiations that are still going on, the rest will be released to us very soon. I am using this opportunity to call on the insurgents to please, not only negotiate in respect of Chibok girls, but negotiate, sit and dialogue with government, tell the government what their problem is, or what their demands are…They are all Nigerians, most of them, they should put down their arms and come back home to join us build a greater Nigeria,” she said. She lauded the agency for supporting the country in various health interventions such as VVF, female genital mutilation, family planning and other areas of reproductive health. 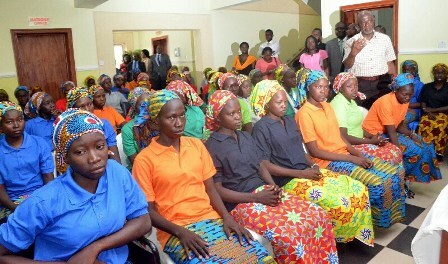 Similarly, Canadian Ambassador to Nigeria, Christopher Thorney said needs of the Chibok girls were symbolic of a vast humanitarian challenge which affects millions of lives in the country. He said the challenge prompted the Canadian government to step up its intervention by providing 27 million Canadian dollars to UN agencies and NGO partners for humanitarian assistance for people of the northeast. The grant, he stated, includes two million Canadian dollars that Canada had provided to UNFPA to support the Chibok girls, as well as its interventions in the northeast, which according to him, have helped 200,000 women and girls who are survivors or at risk of gender-based violence, as well as funding sexual and reproductive health care services and psychosocial support to over 3.5 million women. 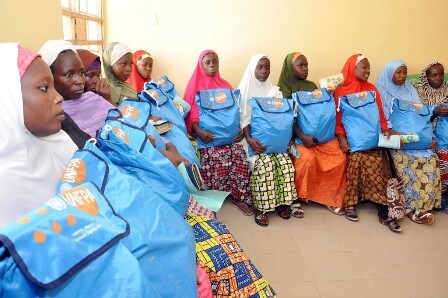 Past beneficiaries of UNFPA’s ‘dignity kits’ during their antenatal clinic at Mala Kachallah hospital, in Maiduguri. He said the release of the girls was “a powerful demonstration of the importance of dialogue in bringing about positive change in the context of a horrible and violent conflict. We urge the continued use of dialogue in the northeast and in other conflict zones as a means to work towards a peace and security that protects the lives and human rights of all Nigerians. “While we rejoice whenever more Chibok girls are released, we also remind ourselves that there are so many others whose lives have been turned upside down or ended by this terrible conflict. Millions of names and faces most of us will never know. “it is important that we support the Chibok girls, and Canada is proud to do so through the humanitarian funding that we provide to the United Nations Population Fund, UNFPA. These girls survived a horrific experience and deserve the support necessary to reintegrate into society with their freedom and dignity, along with skills and education that will give them the opportunity to thrive. “We hope that through the support that they receive, it can also provide lessons on how best to support the many other survivors in the Boko Haram conflict, including thousands of men, women and children that have been kidnapped by the group.